Just thought I would check in before Christmas, since I haven’t posted in a while. I have been so busy. One of the main reasons for my being so busy was because of my involvement with the Living Energy Secrets Seminar. It was great fun. I was privileged to be one of the 24 speakers interviewed on the series. 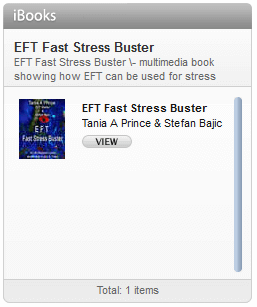 It is all about presenting energy healing from a practical and scientific standpoint. “I’ve just completed another Living Energy Secrets Master Practitioner interview, and I think you’re going to enjoy it! Healing can really be a peaceful, calm process that brings an end to core problem issues. 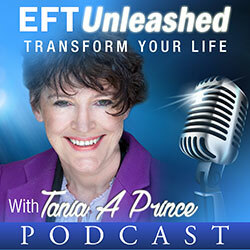 My guest today was Tania A Prince, one of fewer than 30 EFT Masters in the entire world, and one of the author’s of “EFT and Beyond”. She is a regular speaker at major energy healing conferences around the world, and is also the co-developer of EFT Inner RePatterning. 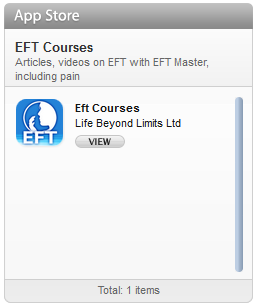 This energy healing modality is perfect for those who struggle with identifying their core issues, or identifying past traumas, because with EFT Inner RePatterning, those things aren’t really necessary. Deb’s opening up all 24 replays so you can listen for one last time. Be sure to take advantage of this opportunity to learn about the broad array of energy healing techniques presented in a practical and down-to-earth manner.